Hello my lovelies! It feels like just yesterday it was Friday and I have no idea where the weekend went. I feel less tired but I still could use some more rest. But who doesn't, right? Luckily, this week won't be very busy for me. Maybe I will even have some time to play with nail art. Today I have a manicure inspired by the amazing Colette from My Simple Little Pleasures. I saw her video this weekend and I immediately wanted to recreate her manicure. I tend to never copy other people's manicures but this time I just couldn't stay away. This shows how much I admire this wonderful nail artist and how much I love her work. 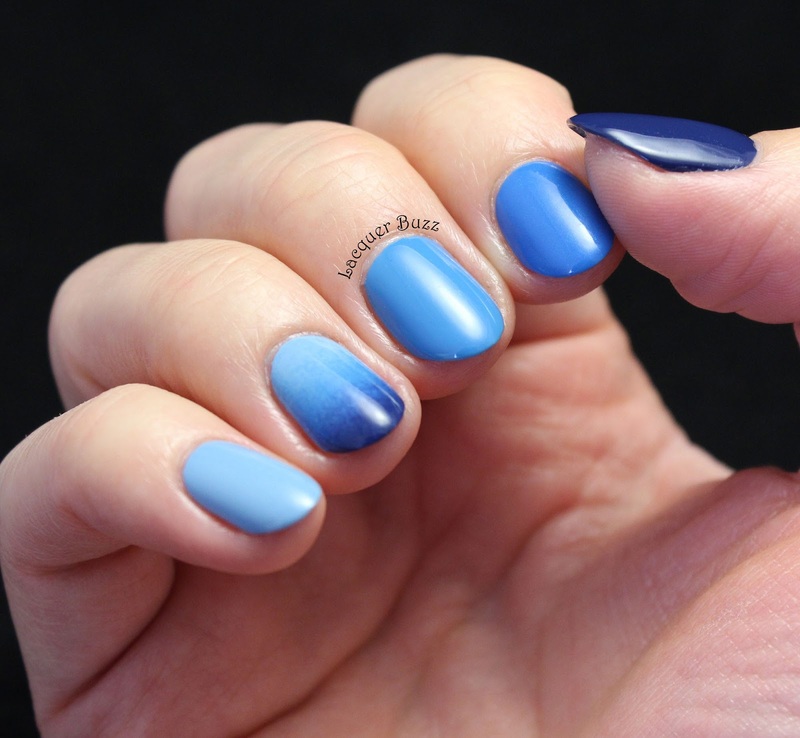 So basically what we have here is an ombre, which means that each nail has a different shade of blue on it, plus a gradient accent nail using the other 4 colors. What I did differently is that I used a light blue on my pinkie instead of white and the difference between the shades of blue isn't that big. The two shades on the pointer and middle finger can seem similar depending on the light. But all in all there is still a visible ombre, just a more subtle one. 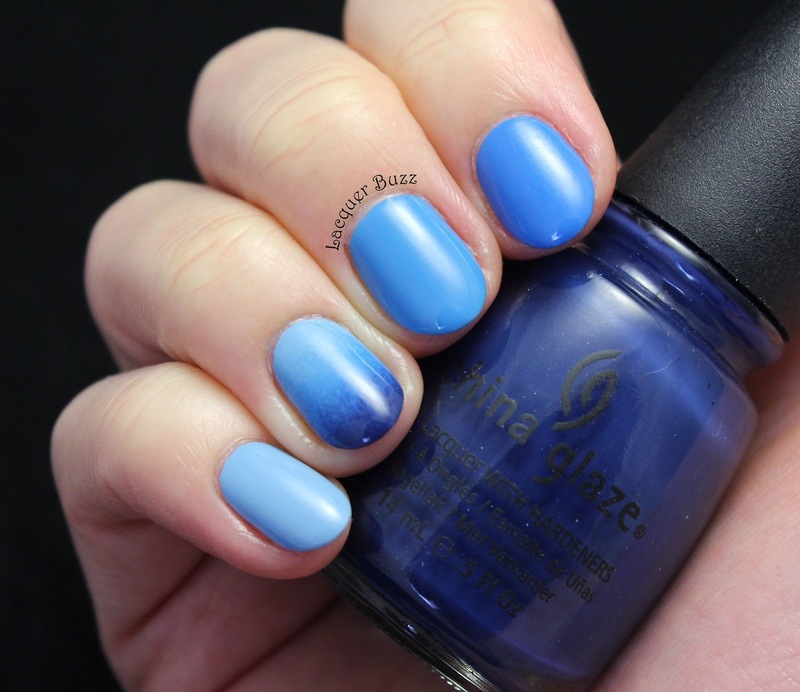 While Colette used only Zoya shades for this look, I decided to use only China Glaze shades. 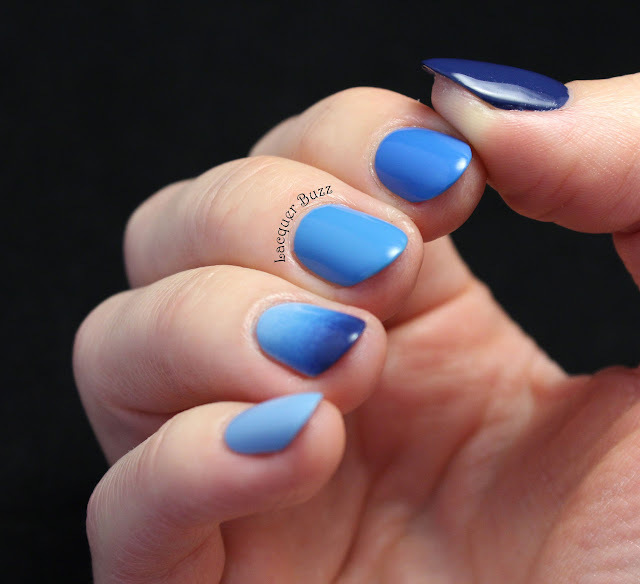 I have a lot of blues from this brand and I was sure that I could find 4 different ones that would go together for an ombre. The shades I used from thumb to pinkie are the following: First Mate, Sky High-Top, Flyin' High and Bahamian Escape. The blending for the gradient wasn't perfect because the two middle colors are a bit more watery and sheer compared to the ones on the sides, but I still think it turned out pretty good. If you've been reading my blog for a while you might know that I'm not a fan of having something different on each finger. 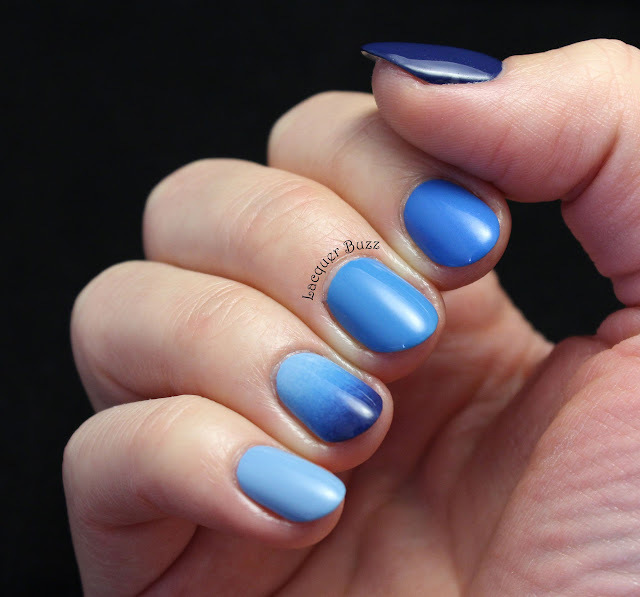 I don't mind having this on my nails though, because I feel that the different shades of blue blend well together and don't seem different at all. I just love this manicure! Don't forget to check out the rest of this week's Monday Blues in the links below!